World War I and its aftermath witnessed a resurgence of interest in classical themes within the European avant-garde as many of the most innovative artists sought a link between modernism and the essential values of the art of the past. Georges Braque was sympathetic to this "return to order" movement, which promoted traditional subjects like the female bather in opposition to the disjunctive fragmentation of Cubism. 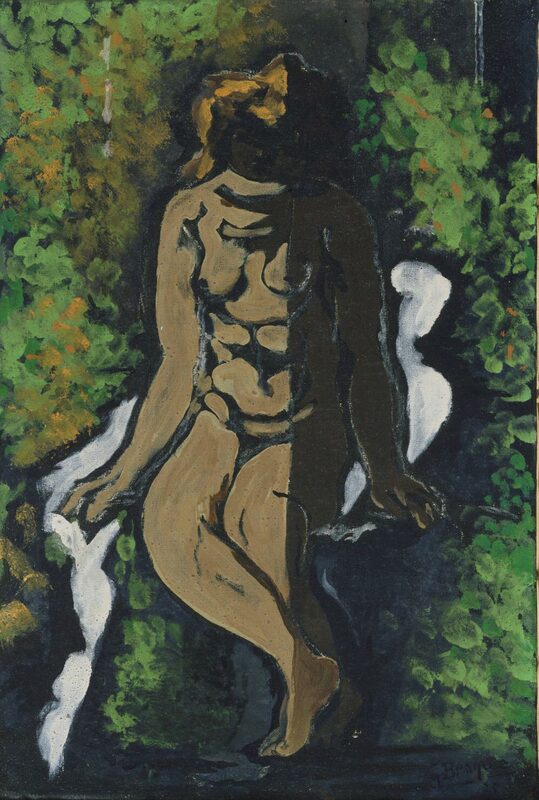 Although the figure's proportions and drapery recall Greco-Roman art, Seated Bather is executed in a nonclassical manner, with fluid paint handling, undulating contours, and strong contrasts between light and shade, suggesting that Braque remained a modernist at heart.